I know a lot of you will be a little freaked out by this post, so if you don't want to look at pictures of snakes, skip this one. 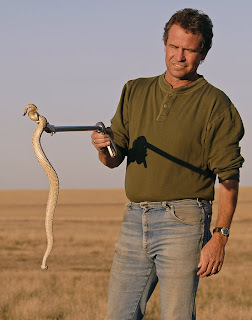 In 16 years of doing my job wandering the entire state, walking the prairies and hills, climbing fences, etc., I have come across very few rattlesnakes in the wild. The ones that I have seen didn't cooperate very well for photos. 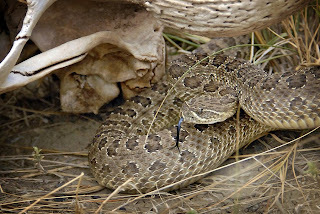 So when my friend Ben Smith told me he hunts rattlesnakes for fun, I jumped at the chance to get some pictures in a controlled environment. The idea that he would be right there with the proper tools and knowledge to keep me out of trouble was great for me. So here are the results of two trips out with Ben. After watching him catch them and handle them carefully, I feel very comfortable that if I watch where I step I shouldn't be afraid to be out with him. And here's my attempt at coming up with a classic western image. 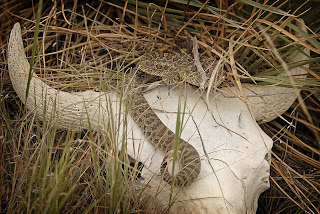 We found that a buffalo skull is a bit slippery for a snake to stay on top of, so it took a few tries to get this to work at all, but I felt like we did okay. Here's Ben with a medium-sized snake. 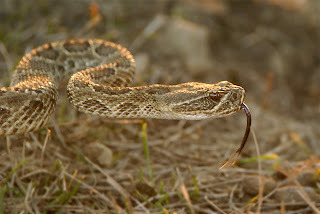 Like I said, I haven't had much luck finding or photographing rattlesnakes before this. I would suggest leaving the snakes to the people who know what they are doing. If you do happen to stumble across one in the wild, give it a wide berth. That famous rattle is a warning sign that they are frightened and prepared to strike. Contrary to what you might think, they do not always rattle before striking, so don't get overconfident that they will warn you first. 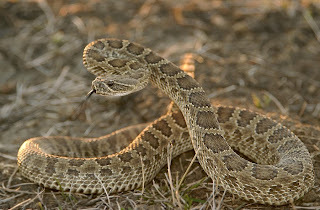 Reptile Gardens outside of Rapid City is a much safer and sure thing for finding reptiles to photograph. 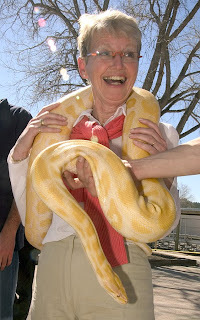 In fact, they have one of the largest collections of snakes and other reptiles in the world. 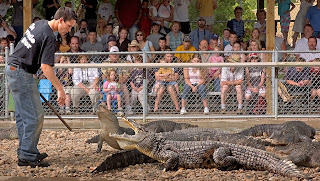 Check them out at www.reptilegardens.com. For other things to be cautious of, check my earlier post at Things To Be Careful Of.